Cyber networks are the 21st Century’s principle attack fronts. Digital warfare is increasingly gaining prominence, and it doesn’t seem to be slowing down anytime soon. From tampering with elections to attacking businesses and personal accounts, attackers are leaving nothing untouched. Currently, hackers are targeting systems every 39 seconds, affecting a third of Americans each year. And the risk is consistently growing with each network field expansion. By 2020, there will be 200 billion connected devices- translating to countless vantage points for perpetrators. This will push annual damages to $6 trillion, up from $3 trillion in 2015. While there are multiple areas to attack in an organization, cybercriminals are particularly fond of going for the database. That’s where the bulk of sensitive information like corporate secrets, intellectual property, and financial records, is usually locked away. Generally, the higher the sensitivity, the more the profit hackers stand to make from the data. Due to such imminent threats, the U.S. government is constantly reviewing its cybersecurity spending every year for improved protection. Unfortunately, that’s not the case when it comes to other organizations. Despite 54% of enterprises having experienced successful attacks, only 38% believe that they are prepared to protect themselves against a sophisticated attack. Deployment is a complex process because of the multiple variables and steps involved. In addition to comprehensively assessing IT needs, enterprises should systematically deploy various components whose architecture integrates with standard processes, then adequately review and test the entire system. Since it’s a challenging process, it’s acceptable to make errors or omissions. Of course, these should be identified and mitigated at the review and text stage. But, some IT teams fail to conduct comprehensive checks. Any resultant unresolved problem becomes a vulnerability that could ultimately be used by attackers. The password is essentially the main key to the entire system and all its files. But, surprisingly, 67% of passwords scored poorly on a typical test. 33% were rated “good”, and none could meet “very good” standards. Even more shocking is the fact that 18% of the individuals surveyed reuse the same password on multiple platforms for easy remembrance; while 39% write it down on a piece of paper; and 10% chose to secure it in a computer file. If perpetrators fail to guess correctly, they might as well access the passwords from unsecured computer files, or simply stumble upon papers with password details. It’s common for system administrators to grant other employees excessive database privileges that exceed the requirements of their job functions. 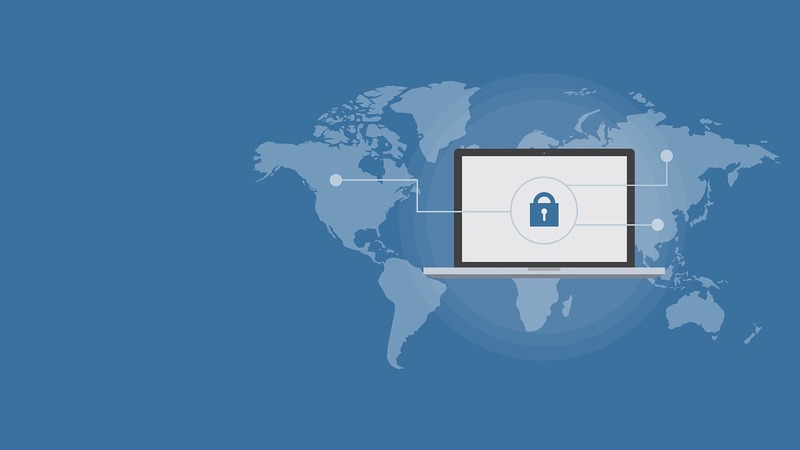 Unfortunately, this increases overall risk because some workers may eventually abuse their permissions, and consequently trigger potentially detrimental data breaches. If the job functions of respective users are not clear, CIOs should link up with their human resource departments to establish distinct clearance levels. Leveraging a holistic and centralized database simplifies the whole integration process. But taking a literal approach results in a unilateral database that is fully accessible by not only the administrator and employees but also third-party contractors. Even in a centralized database, files should be systematically segregated according to their sensitivity. The sensitive data sets should be adequately secured in a vault-like sub-sector of the database, accessible only by cleared parties. According to the Microsoft Security Intelligence Report, 5,000 to 6,000 new vulnerabilities are emerging on an annual basis. That translates to at least 15 every day, all principally targeting system weaknesses. Software vendors subsequently respond with patches. But database administrators are often too busy to keep up with all the releases. The longer a database runs with missing patches, the more susceptible it is to developing malware. If manual updates are proving to be a bit too cumbersome, enable auto updates across the board. Maintaining appropriate database audit details has always been important not only for compliance but also for security purposes. But many enterprises are leaving it off at the compliance level. The resultant inability to comprehensively monitor data across the board represents serious vulnerabilities at many levels. Even something as simple as fraudulent activity cannot be detected in time to contain a breach. A breach can be bad. But data loss is potentially catastrophic. As a matter of fact, 43% of enterprises that experience this never re-open, and 51% eventually collapse after two years. But despite this fact, many enterprises are still running inadequately backed up servers. A good backup architecture encompasses primary, secondary and tertiary backup strategies that are repeatedly tested. It should also provide multiple restore points and real-time auto-updates. While encryption has become standard during the data transmission process, some enterprises are still yet to implement the same for information held within their databases. Hackers love this because they are able to easily use stolen data in its rawest form. Although malware is progressively getting sophisticated, human error is behind more than two-thirds of data breaches. And it’s expected to be the leading cause for the long haul, especially since enterprises are yet to implement sufficiently tight policies to protect their databases. While such a measure does not completely eliminate the risk, it will increasingly reduce vulnerabilities emanating from human errors. Overall, the lack of consistent database management continues to collectively contribute to all these system vulnerabilities. Database developers and system administrators, therefore, should have a consistent methodology of managing their databases to minimize vulnerabilities, prevent attacks, detect infiltrations, and contain breaches. All things considered, a stable and secure database should mirror FileCloud’s efforts at maintaining risk-free servers. Get in touch with us to learn more about the features that make us industry leaders in data security.